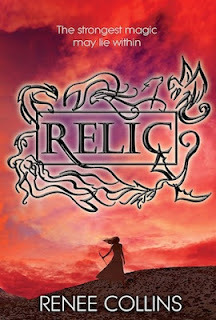 Welcome to the Relic tour! I'm so excited to be a part of this tour, and to share my review with you today! Renee Collins is one of the Friday the Thirteeners, and one of my various goals of 2013 (and 2014, since two authors got their books pushed back to April 2014) is to read all the Thirteeners books. I am happy to say that I liked this book! One of my many bookish goals this year is to read all of the Friday the Thirteeners books (check out their blog! They have cool stuff every Friday!). I own all of the books that have been released (ten of them) in some format, but as of right now, I've only read... five of them. This is one of the five! Anyway, this one was pretty great! I love historical fiction. This book takes place in the old western Colorado times when people hated Native Americans and were totally prejudiced against them. Maggie's hometown is one of several that were burned down - supposedly by Apaches. But Maggie knows better - her Apache friend from school saved her. The Apaches are not the ones behind the fires and violence and death. Maggie meets the illustrious Alvar Castilla in a relic factory. Maggie has a strange affinity for relics, as she is able to sense them better than most. Alvar discovers this when they meet, and offers Maggie a place at his home, in exchange for her services with relics. Maggie declines. Though she doesn't love her job with Adelaide at a saloon, she loves her friends, and when she meets Landon, she starts to fall in love with him. But the law officials starts to move against the Apaches. And then Maggie's sister gets into trouble, and is in desperate need of medical attention. Maggie accepts Alvar's offer to live at his house and become acquainted with his relics, for Maggie's health and well-being. So, this book is basically split into two parts: Maggie's time at the saloon, with Landon, and Adelaide, and figuring out how to help the Apaches. And then, Maggie's time at Alvar's hacienda, learning about relics, and wondering about her life and how she can help the Apaches. I love the historical aspect of this book. Ms. Collins does her research so well - I can tell she knows what she's talking about, in terms of Old Colorado. Maggie's voice is unmistakable, and completely authentic, in my opinion. The plot of the story is pretty good. I was interested the entire time, right up until the end. The end kind of did not hold my interest, and I sort of skimmed it. I mean, I read it, but not as thoroughly as I read the rest of the book. But Ms. Collins definitely takes her readers on a ride! Everything about the relics and the powers and the mystery is so intriguing! I almost forgot that somehow, the burning towns have to connect to the relics. It all comes together at the end! The romance is sweet. Poor Landon has to deal with Maggie and her shenanigans. First, she flat-out rejects him. Then she likes him. Then she leaves him (and everyone) when she goes to live with Alvar. Then she gets jealous because she's seen with someone else. Then they have a totally hot make-out session. Then... the climax and the end of the book (in terms of the romance) was surprising. Read it to know what I mean! All in all, I enjoyed this book, and I'm pleased to have had the chance to read it early! There were small things that bothered me. Like, for one, I really hated Maggie's sister. She's conceited, selfish, a total brat, rude, ungrateful, and she's like, seven? Ten? Somewhere around there. It's not like she was SPOILED when their parents and brother were alive. I don't know or understand why she expected royal treatment the duration of the book. Gosh, I hate her so much. HATE. HER. And like I said above, I kind of lost interest in the very end of the book. I didn't read it quite as closely as the rest of the book, mostly because I seriously did not understand what was going on. I re-read the end twice, and I still don't understand some thing. Whatever. I get the gist of things. And I totally feel bad for Alvar, despite his sleaziness. Yep! If you like historical fiction books, check this one out! This book shared a different time in history than I'm used to, but I really liked it and I'm satisfied with the historical aspect of the book, as well as mostly everything else! 3.5 stars -> rounded up to 4 stars. I like giving debut authors the benefit of the doubt. And I really did enjoy this book! I would like to read this one because I love historical fiction and I haven't been reading many of those this year. The sister, though, makes me a bit nervous. One of my bookish pet peeves is annoying, bratty little sisters. They annoy me so much! 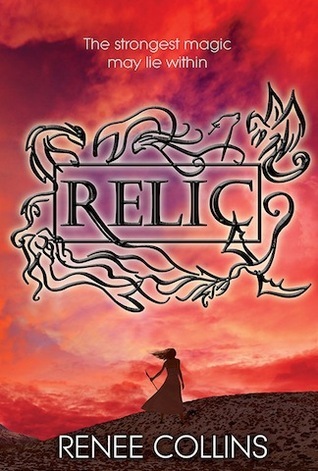 However, I won't let that prevent me from wanting to read Relic. 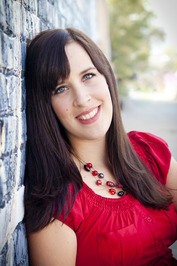 Historical fiction is kickbutt! This one is Western, and it's pretty great. I had to look past the little sister aspect, but meh. It was a good read! I've heard about this author for quite a while through Natalie Whipple and Kiersten White, so it's cool to see her book finally released! I've been trying to read a lot of their books as well and I love how they do dares! Kasie West did mine: "put yourself through something you put your characters through" and one of her characters gets hit in the head with a football.....LOL! She seems so fun and nice!! I'm sorry to hear that! And yeahhh, I love the Thirteeners! They're super cool. Renee is great! I've been interested in this book, and I'm looking forward to reading it after this review. Always looking for good historical fiction. Excellent! Hope you read and love it! this book sounds interesting!!! Im going to have to check it out--great review on it!!! It's a fabulous read - and relatively cheap, if you have an e-reader! I was lucky enough to win a copy of this book, and I was looking forward to it. I am even more now, after reading your review. The time period is completely different from anything else I have read before. And the general idea of the story is really interesting. Too bad about the ending, but I am still looking forward to it! Awesome! I hope you read it soon! This book definitely is different in terms of the time period - there aren't enough Western-based novels out there. Let me know how it goes, Jaime!